Player Pokemon Characters. 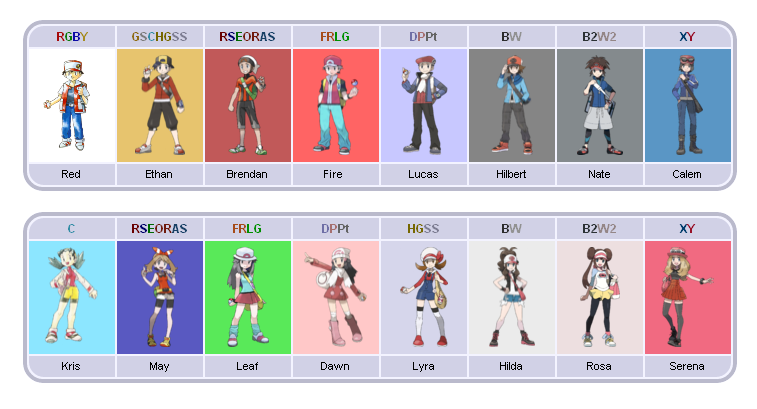 All the playable trainers from all the Pokemon games (Red-Serena). Enjoy.. Wallpaper and background images in the pokémon club tagged: photo pokemon game red. 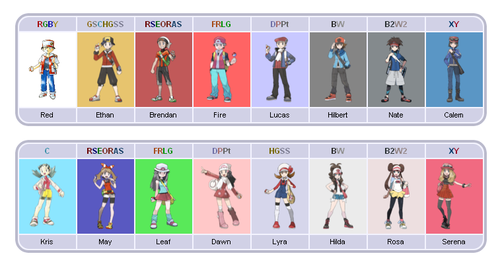 All the playable trainers from all the Pokemon games (Red-Serena). Enjoy.